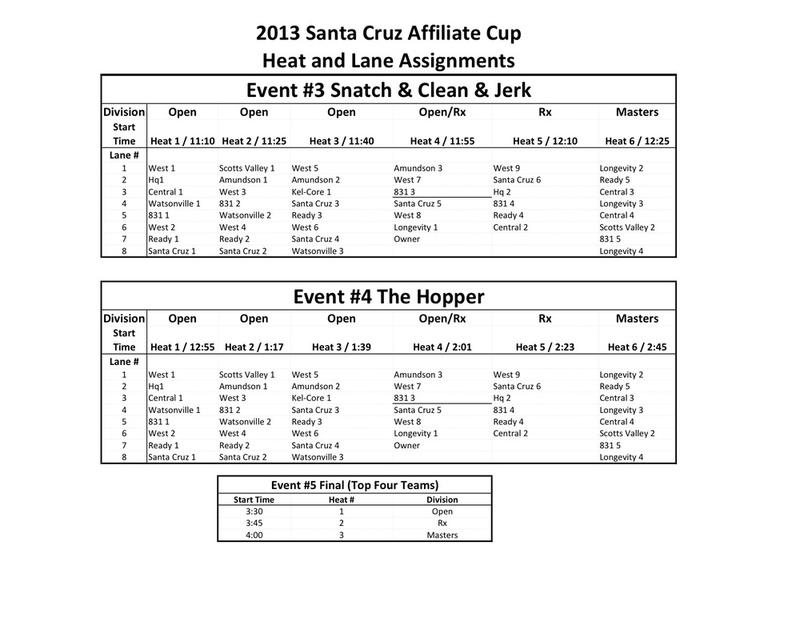 Here are your Crossfit Santa Cruz Central Affiliate Cup representers, all getting prepped before the big day! Which by the way is tomorrow morning (Sunday) from 8am to around 4pm. The heat schedule is below. There'll also be a paleo BBQ and Acai bowl spot!